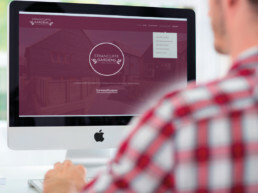 Creation of a strong marketing campaign for one of Barwood Homes’ flagship developments in the UK. Strancliffe Gardens is a development of 83 properties situated in the village of Barrow Upon Soar. 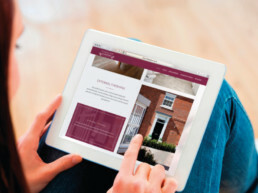 A clean, contemporary, strong identity was used within the successful Adverts, Brochure, Sleeve and Leaflet campaign. 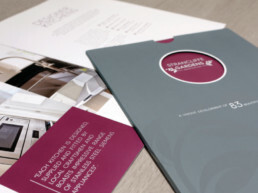 Modern creative print techniques were used on the newly launched material to increase the customer perception of quality and encourage sales. 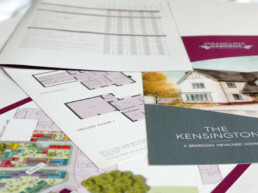 Further support materials such as housing Specification Sheets, Plot Cards and attractive Illustrative Site Plans were also produced. 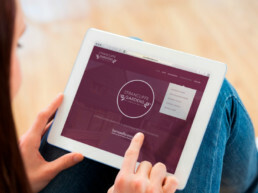 Barwood Homes also required a professional content management Website for promoting the extensive housing portfolio at Strancliffe Gardens.